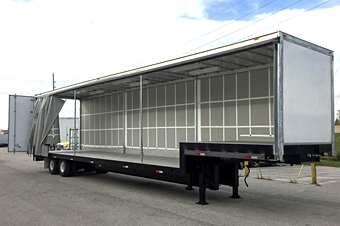 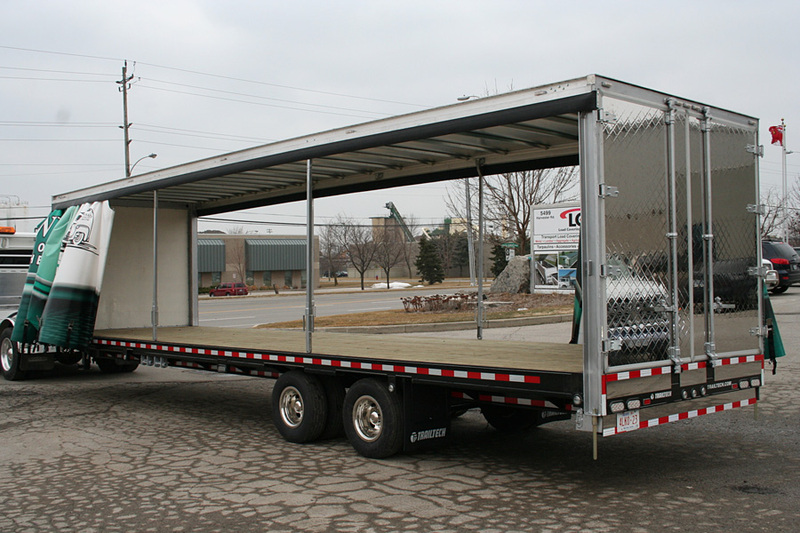 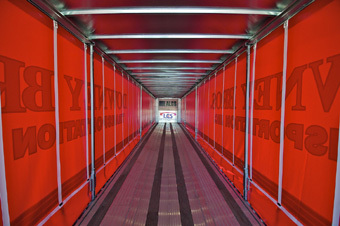 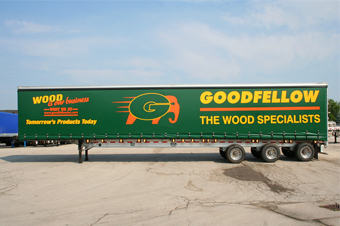 Load Covering Solutions offers a variety of curtain side systems for any open deck flatbed trailer or truck body. 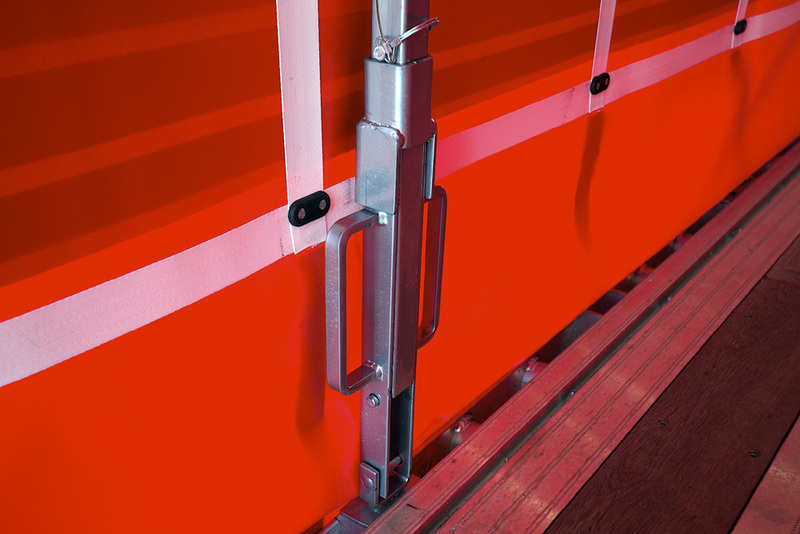 If top loading is not a requirement then look at the ALCS side curtain system as an easy solution to covering your loads that require access from either side or from the rear. 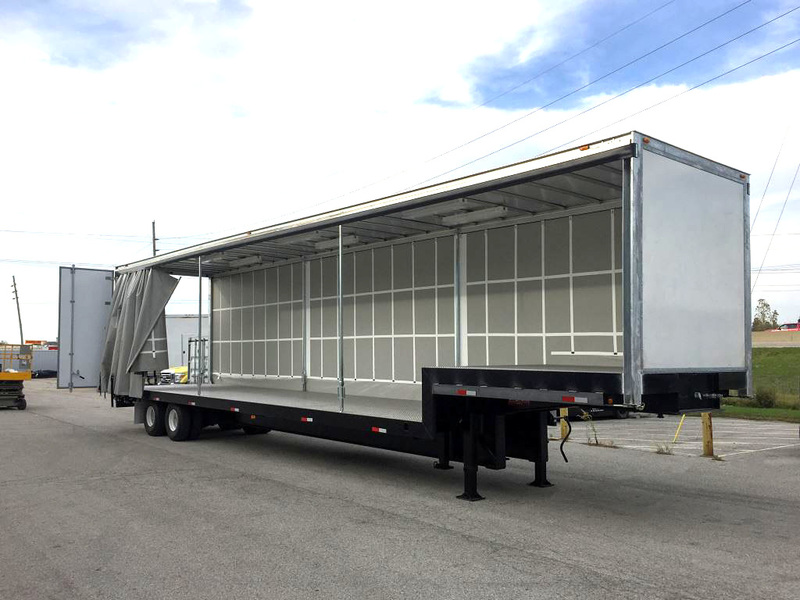 The ALCS Side Curtain system provides a Load Covering Solution for a variety of industries ranging from diversified building products to general cargo. 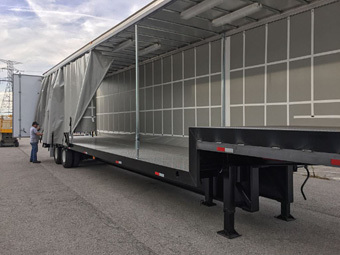 Resembling a van trailer, ALCS provides the side loading versatility of a flatbed trailer allowing transportation companies to maximize their equipment while consolidating their fleets. 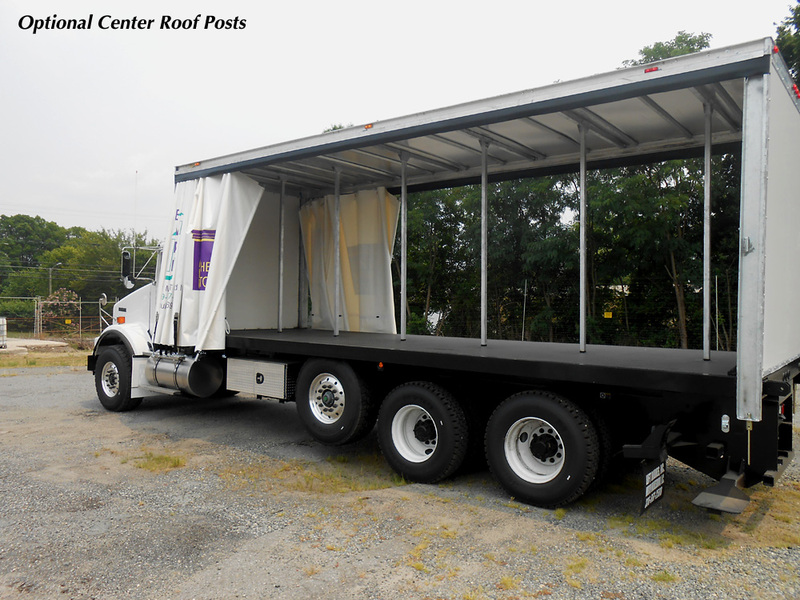 The ALCS roof design consists of our own unique captive self-supporting aluminum extruded combination top rail and track. 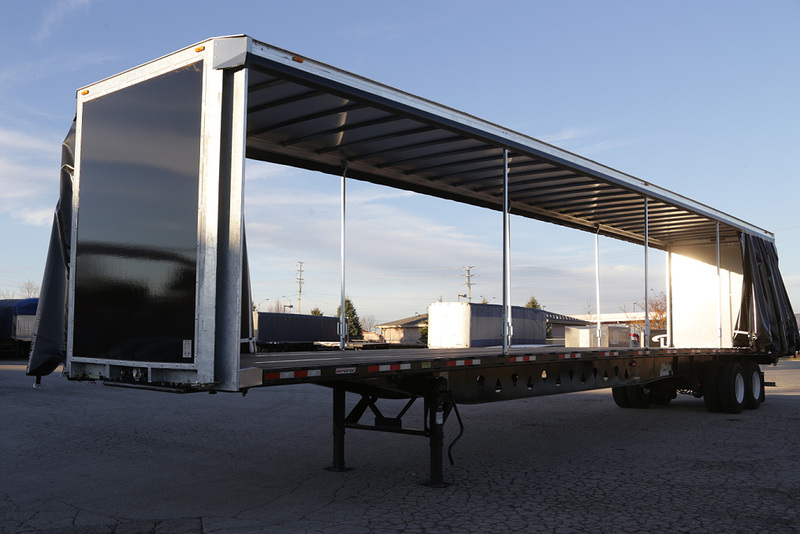 Unlike other competing designs where a steel supporting top rail structure is required, the ALCS roof design is lighter and structurally adequate up to 53ft long. Aluminum or Galvanized roof bows supporting a .040 aluminum roof skin are located on 24" centers with a 1" radius chamber to ensure proper water runoff. 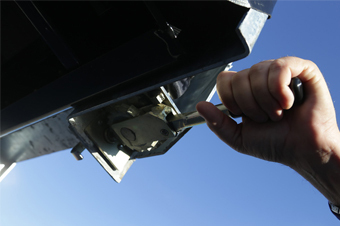 All roofs are supported with easy to remove break-away posts typically located on 12ft-16ft centers. 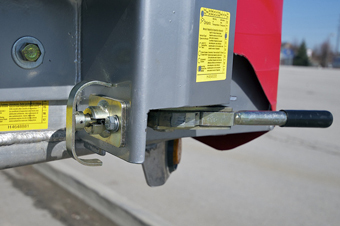 Optional rolling posts allow the operator to simply move the post from its support position to an alternate location while loading or unloading the system, eliminating potential lose. ALCS has two options for the front of the trailer. 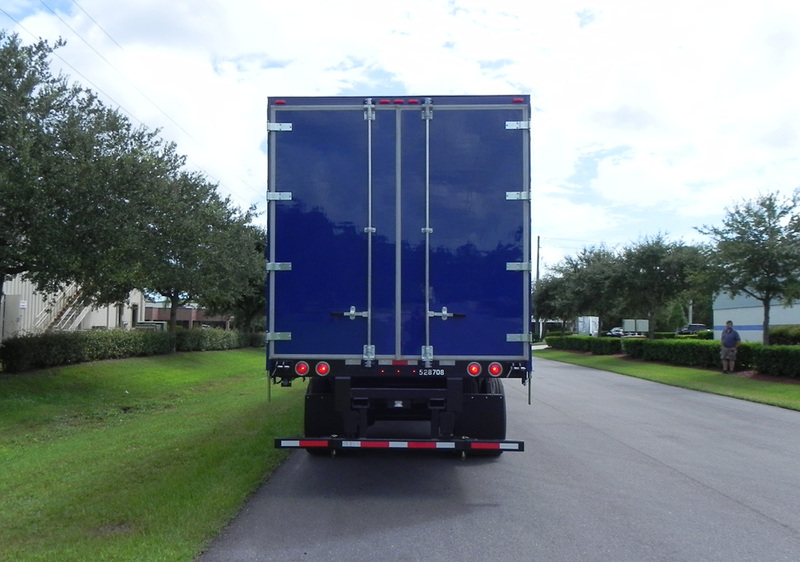 Chamfered Bulkhead: (LCS Preferred) Sits ahead of the deck allowing for full deck utilization. 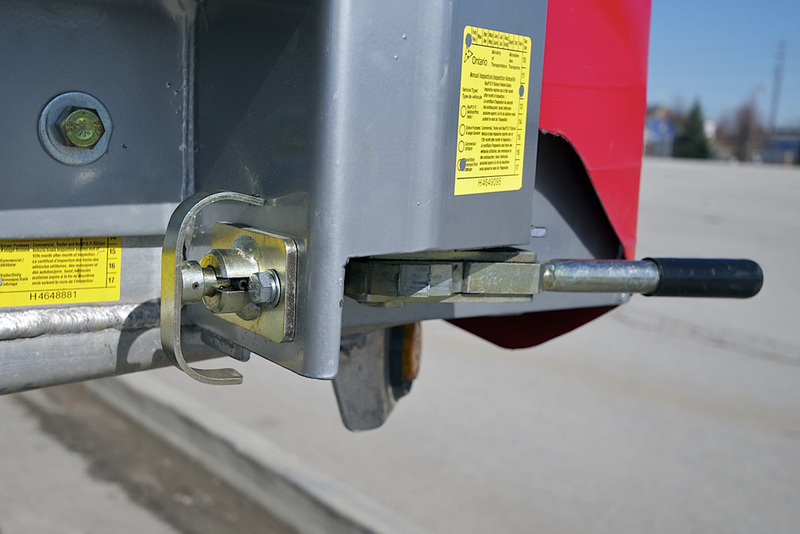 Eliminates notching at front of trailer saving on cost and does not sacrifice the structural integrity of the trailer. 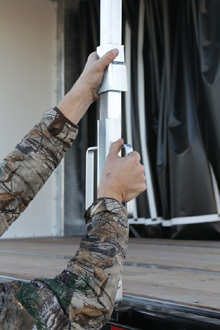 Square Bulkhead: Sits flush on the deck of the trailer taking away 4" of interior deck length. 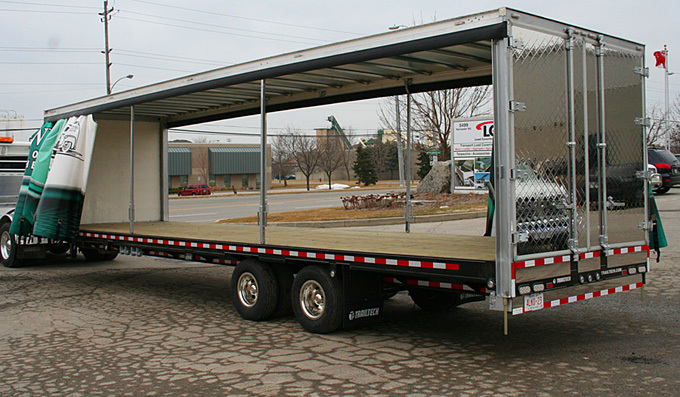 Requires a corner notch out by installer and could effect the trailer warranty. Adds to the cost of the system. 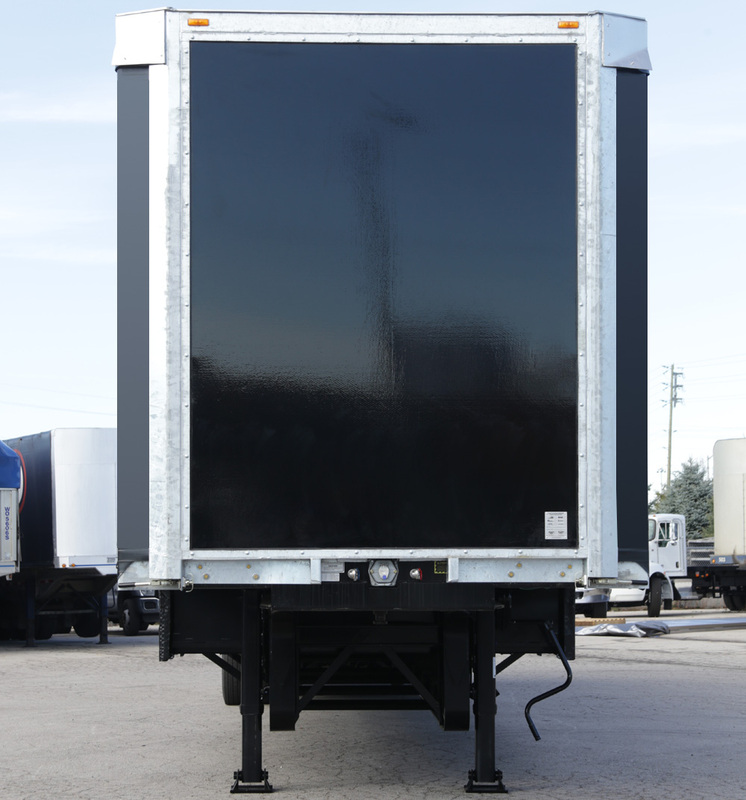 Note: All ALCS frames are Hot Dipped Galvanized with White FRP insert Panel (Standard). 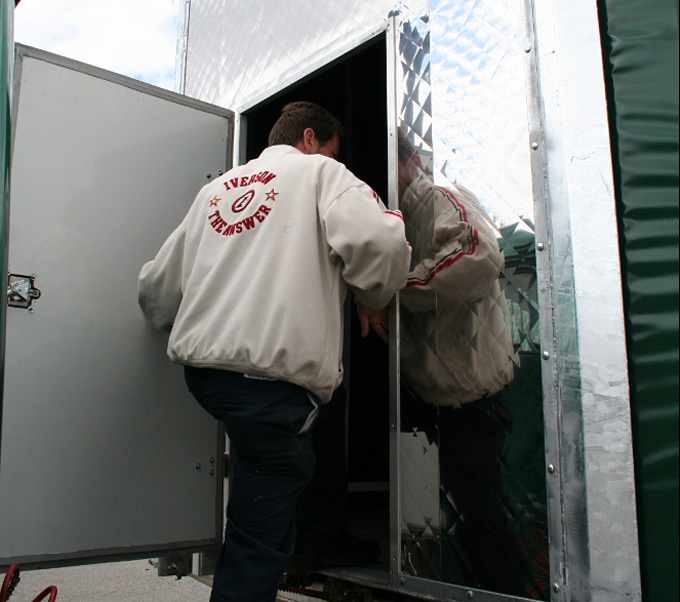 Plymetal or Stainless Steel Mirror finish insert panels can be made available. 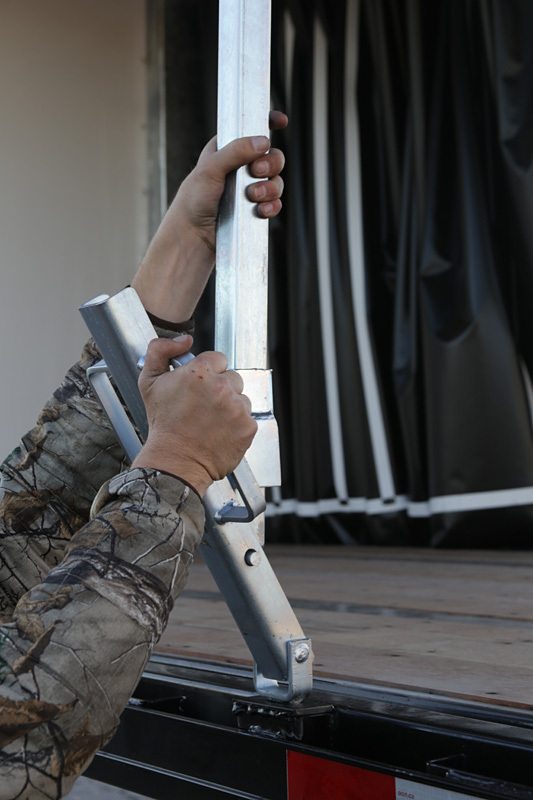 Frames & panels can be powder coated optional. 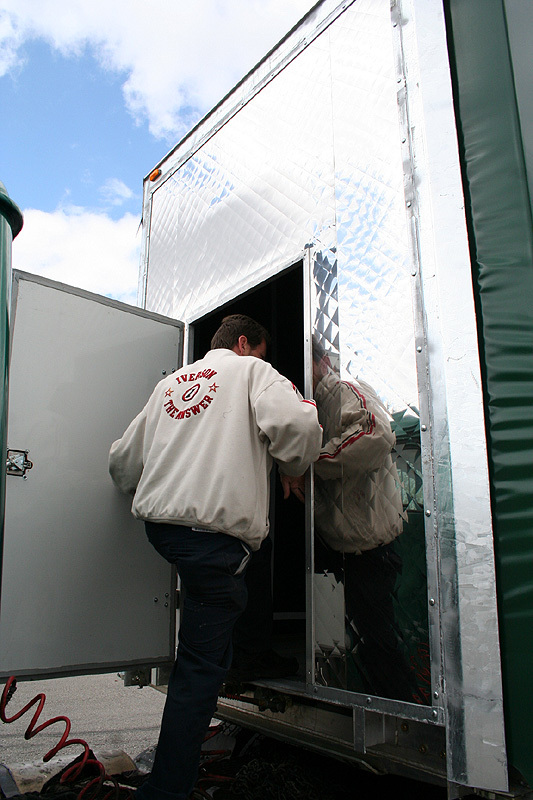 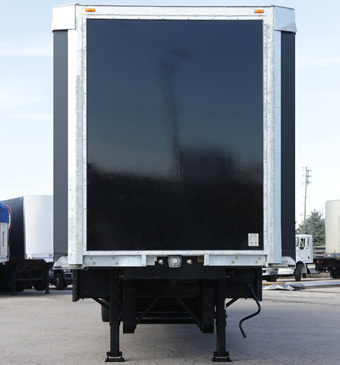 ALCS rear door frames come Hot Dipped Galvanized with White FRP or Plymetal Panels. 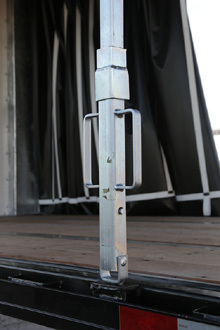 (Standard) 4 or 5 Hinges and single locking rods per door with optional dual locking rods as requested. 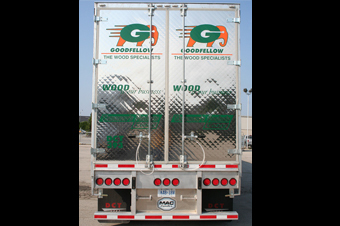 Available like the front bulkhead with several options for color matching panels or mirror stainless steel. 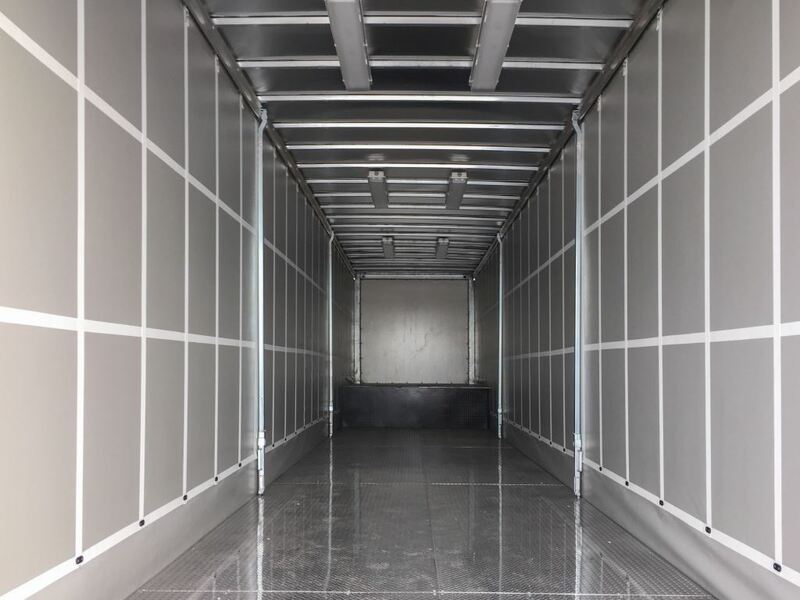 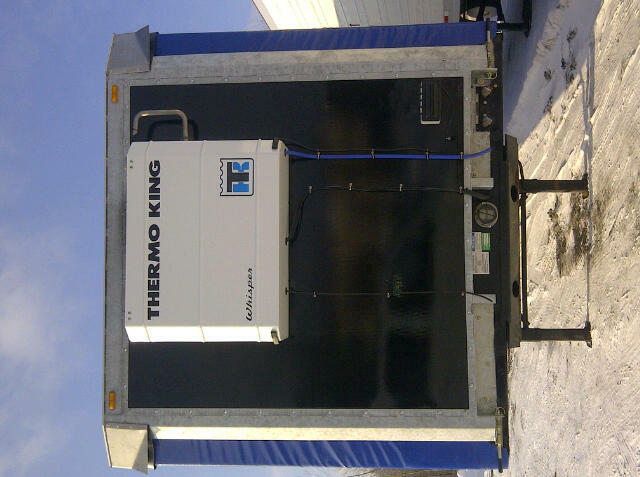 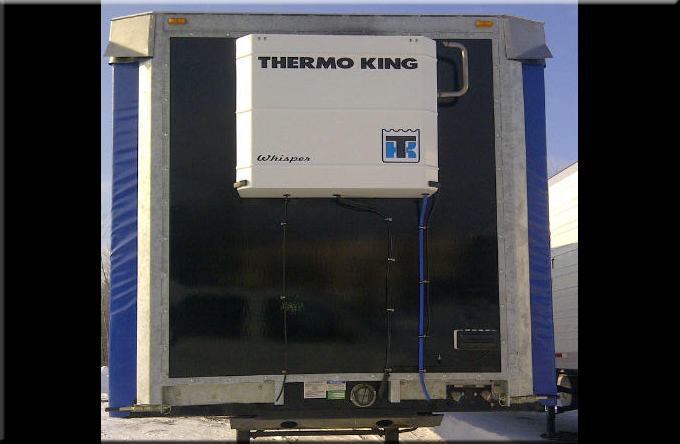 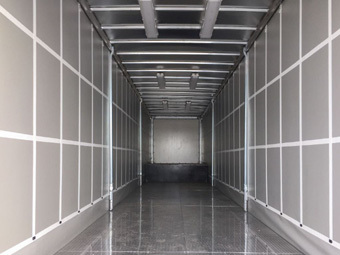 ALCS use a Heavy Duty Ratchet tensioning mechanism to ensure your side curtain system is always applying consistent tension along the length of the curtain system giving your trailer the appearance of a hard sided van. Once the curtain is tensioned then the vertical horizontal buckles are snapped down to provide the structural tension to the side curtain wall. 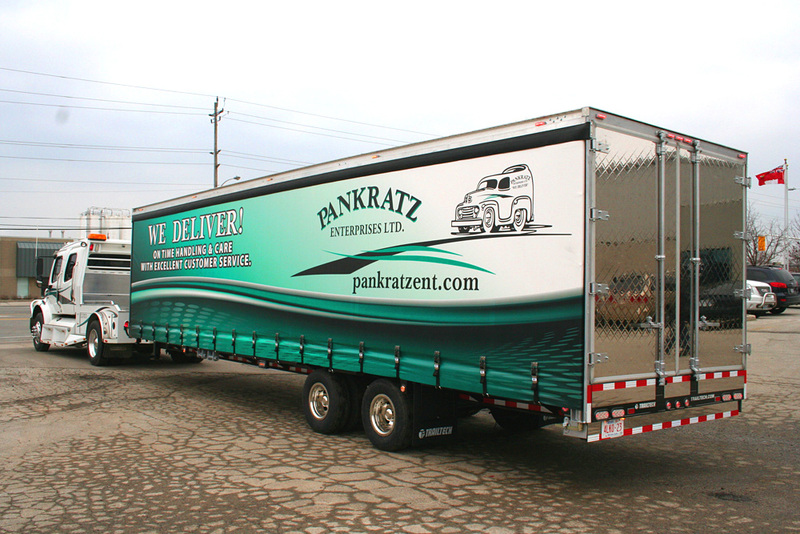 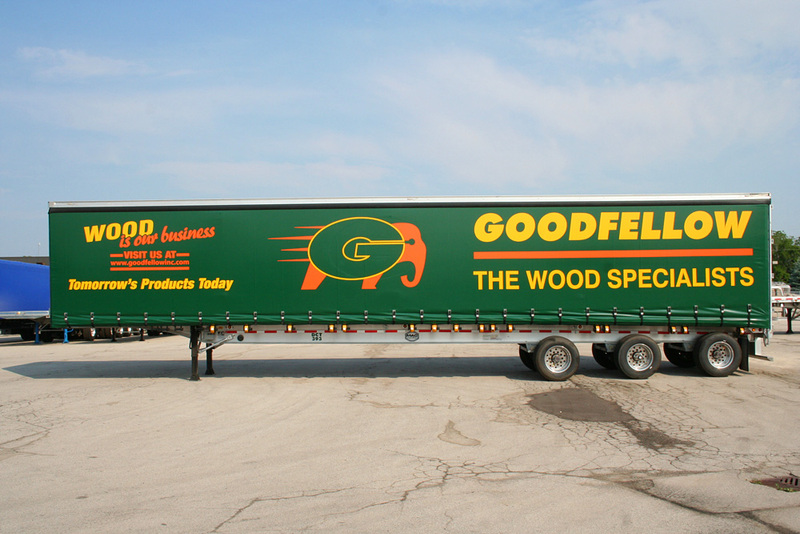 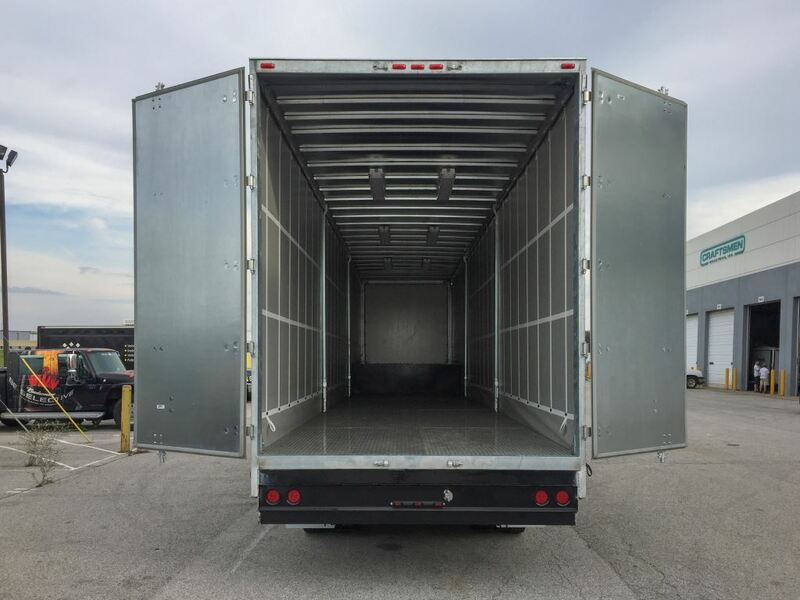 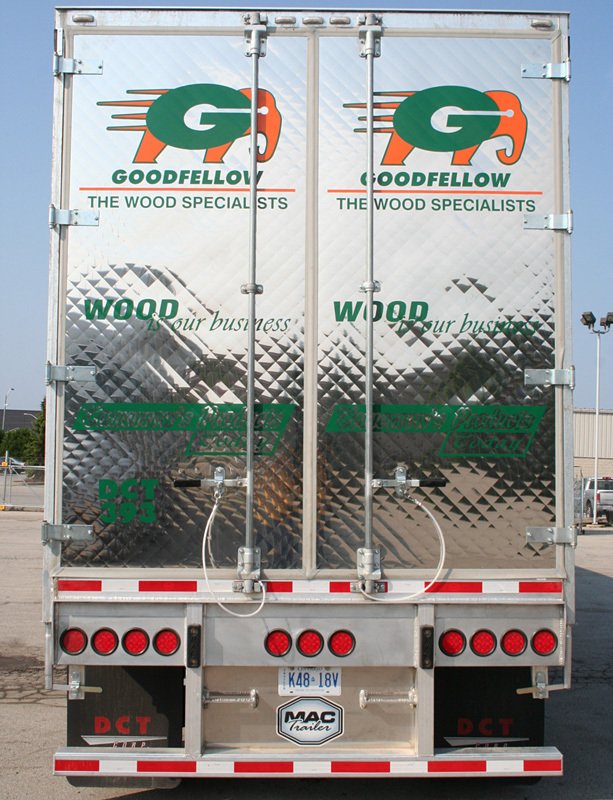 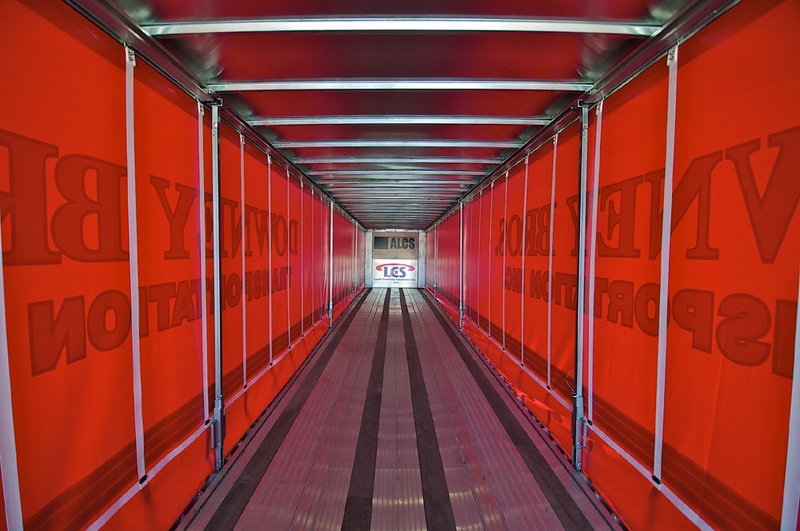 Load Covering Solutions works closely with our customer�s to achieve the best �Over the Road Corporate Messaging� on the side of your curtain wall trailer or truck body. 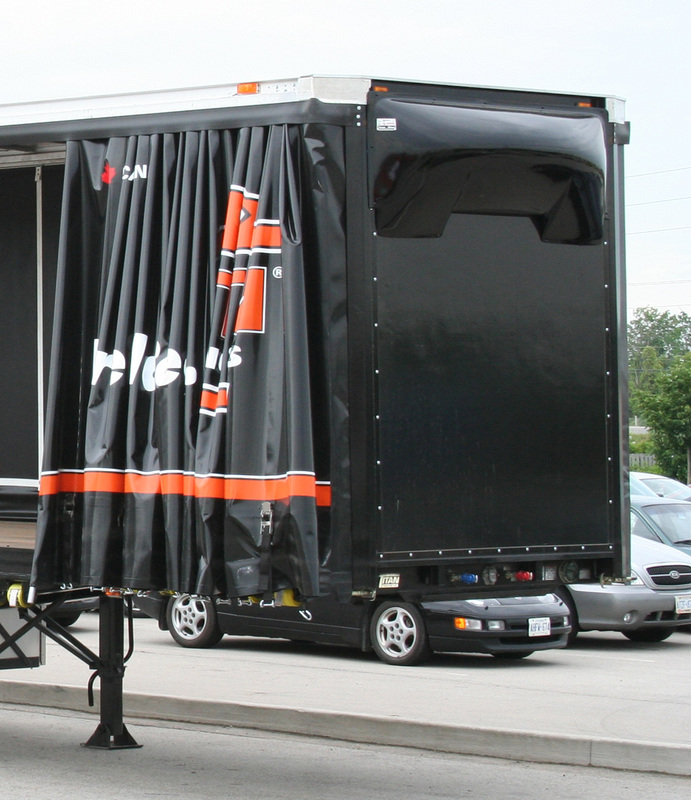 From a basic inked on logo with website & phone numbers to a full blown 4 color digital print campaign LCS has your message delivered professionally for the industry to see. 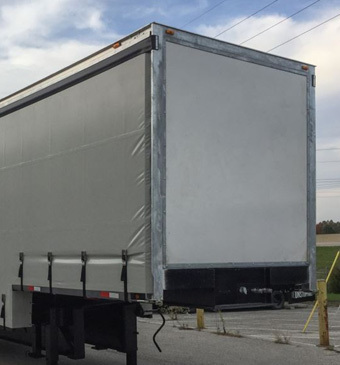 More customers are reverting to a load covering solution to retain drivers, keep them on the ground and safe as well as providing their customer�s products with the expected weather protection from the forces of Mother Nature. 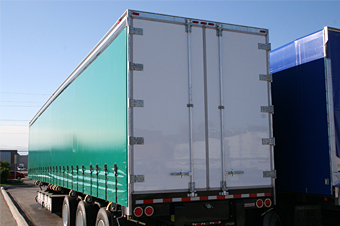 ALCS Curtains are manufactured utilizing state of the art welding technology. 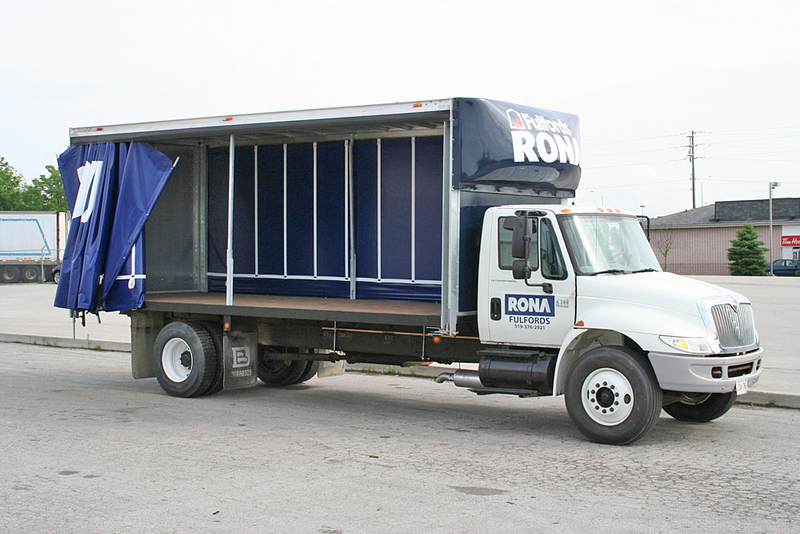 All curtains are constructed from 26.5 to 28oz high gloss urethane tension PVC fabrics. 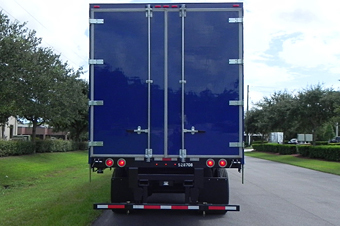 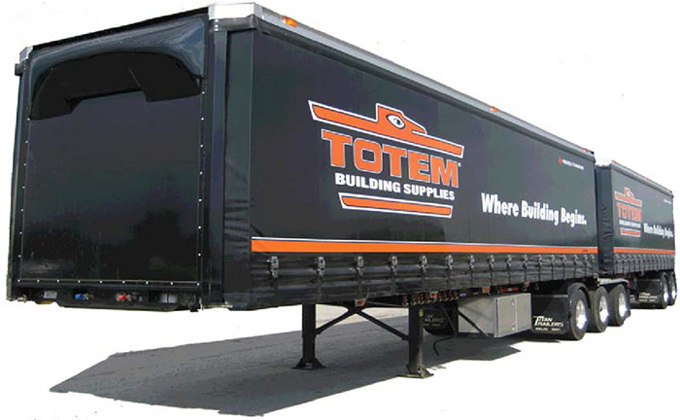 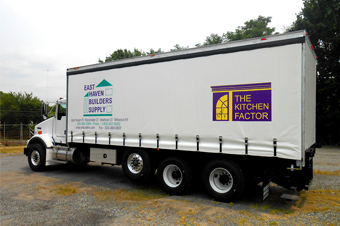 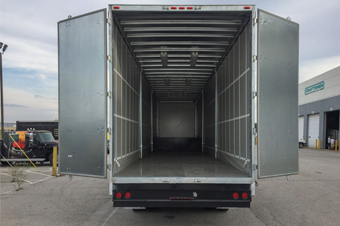 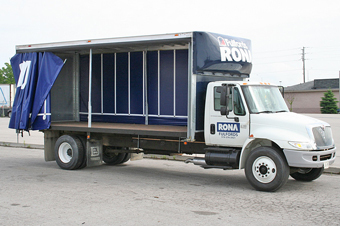 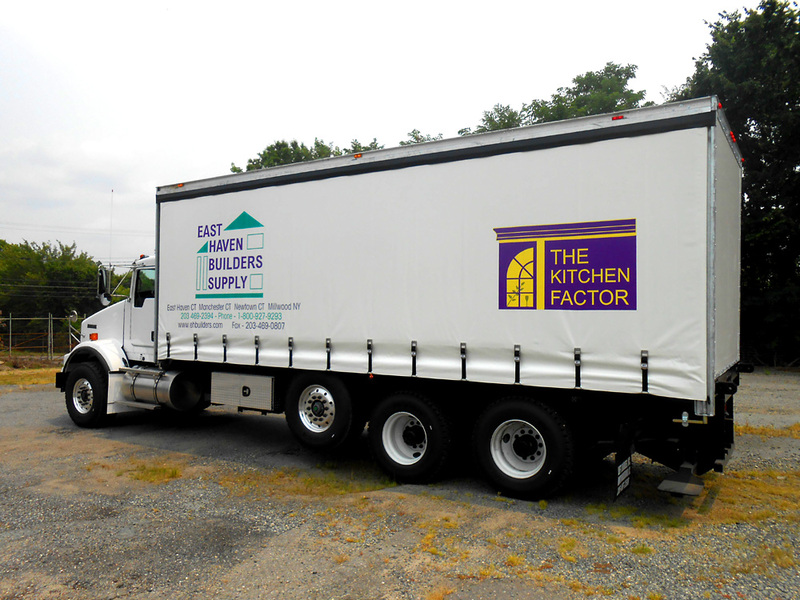 2" PVC vinyl coated load bearing cargo straps are fully welded to the vertical and horizontal interiors on 24" centers. 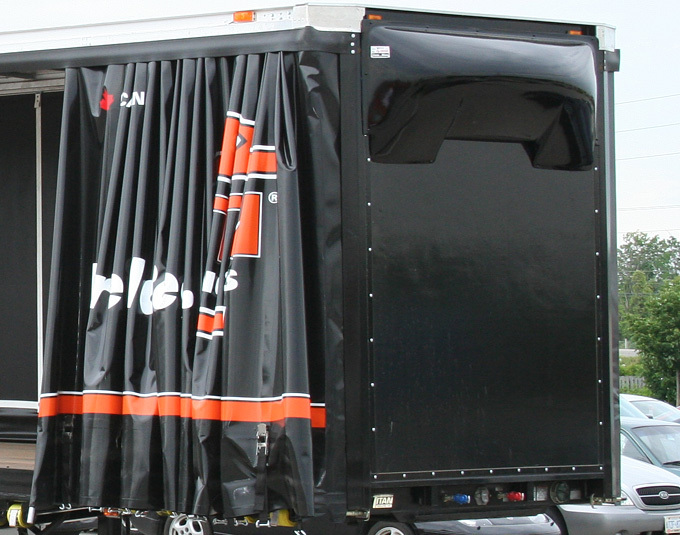 You can always recognize an ALCS Curtain from its smooth hard side like appearance. 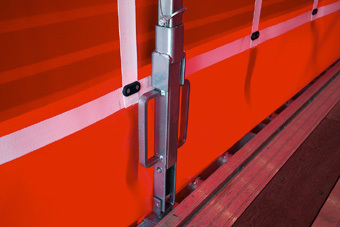 ALCS Curtains are standard with stainless steel buckles and ball bearing rollers. 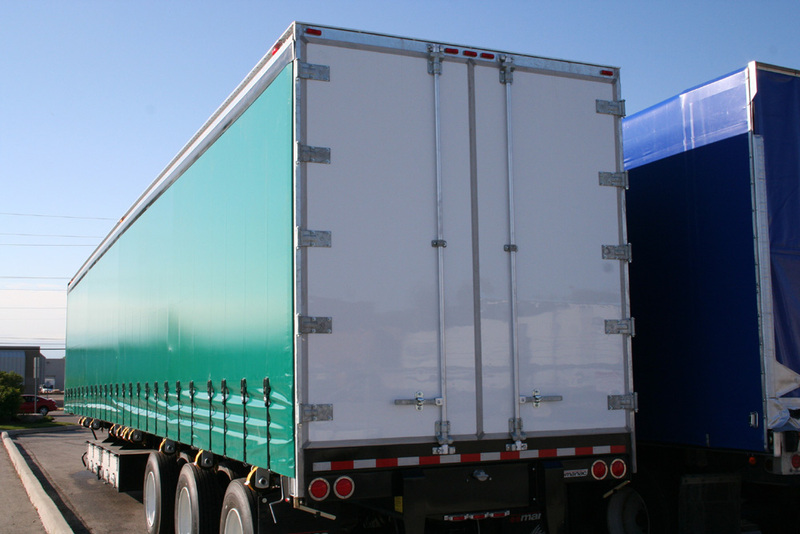 Curtains can be ordered optional with a 2nd & 3rd row of hot dipped vinyl seat belting welded the length of the interior curtains. 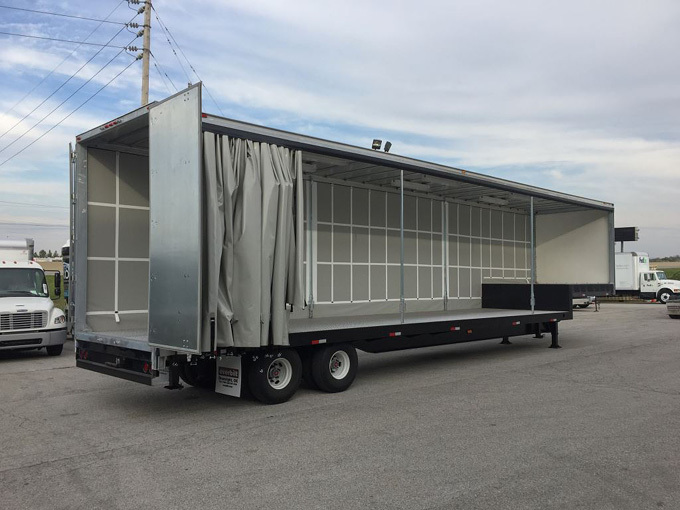 This provides a �Rip Stop� in case your curtain encounters a tear. 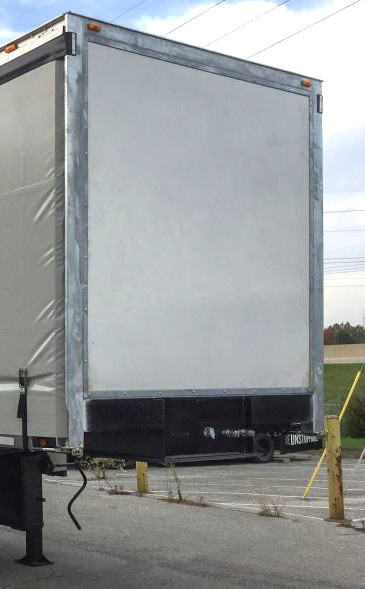 It does not add Structural Strength to the curtain.